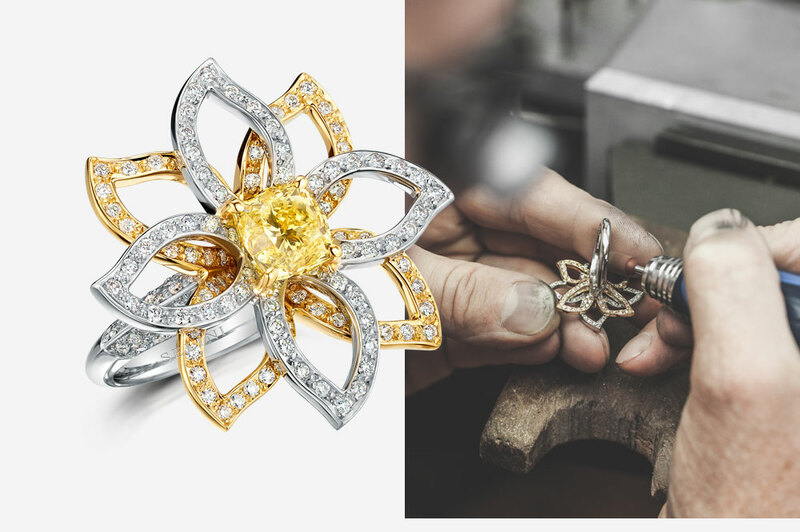 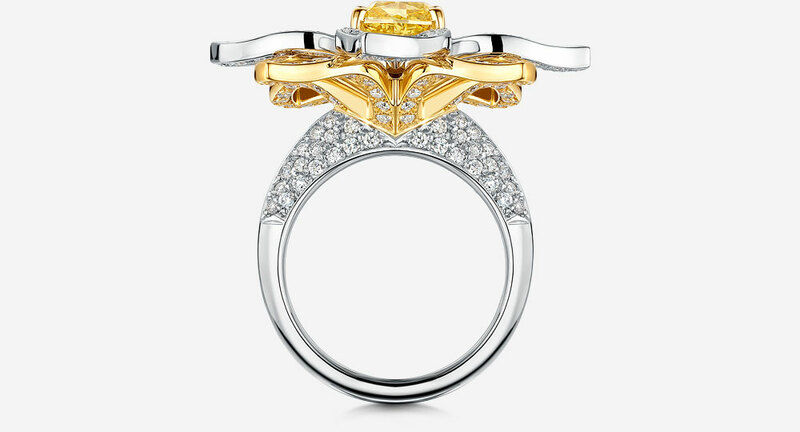 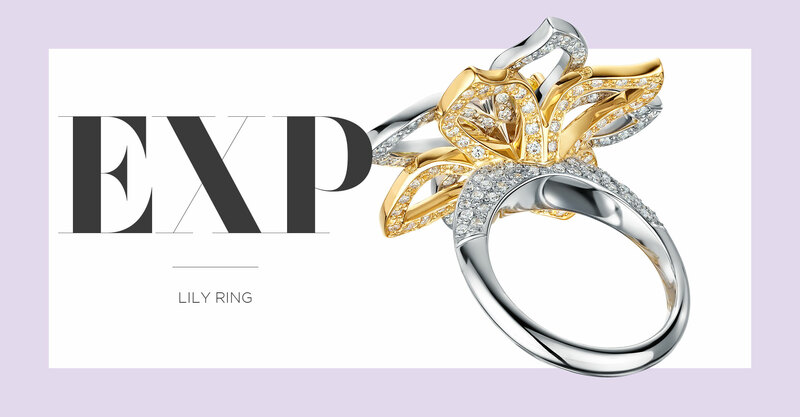 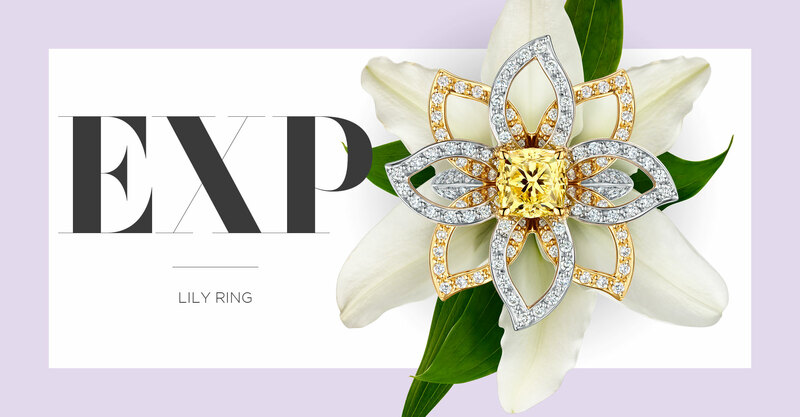 Made in 2010 the Lily Ring is a breath taking one off creation which marked the start of Robin’s move into more complicated fine jewellery work, it’s a fine example of his signature style that incorporates hidden detail with unconventional design and demonstrates his experience working with rare and important diamonds. 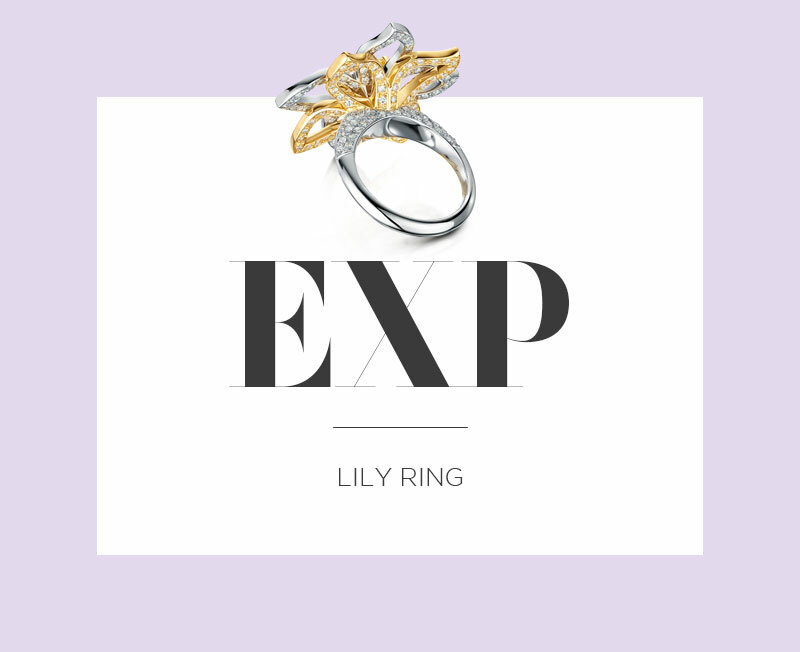 ‘When I designed and made the Lily ring I wanted to demonstrate the new techniques I was developing, setting stones in hidden areas, overlaying and laser assembly‘. 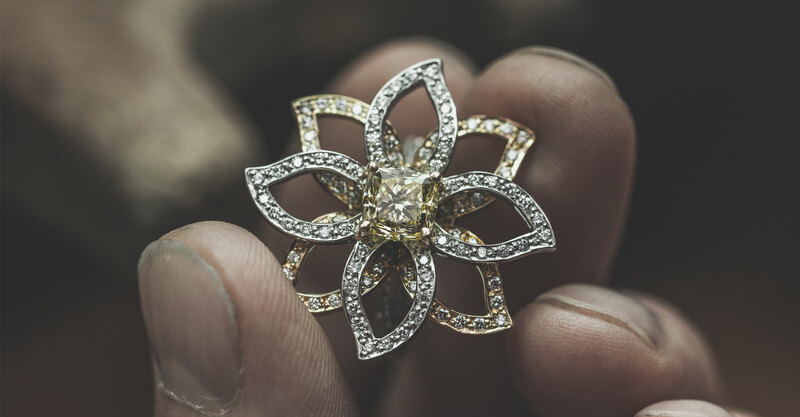 Precious metals manufactured by Robin in-house.